The City of Tshwane is exploring the possibility of installing prepaid electricity meters in informal settlements in an attempt to curb illegal connections. This comes after eight transformers blew in Itireleng, west of Pretoria, leaving residents in the dark since Friday. The cause of the power outage has been blamed on illegal connections in the area. "We are exploring, as a city, the possibility of putting prepaid electricity, even in informal settlements to ensure that people are not tempted to go and steal electricity. It would be a first in Tshwane and probably in the province of us going that route," says Tshwane's MMC for Utility Services, Abel Tau. Tau says the outages are a major inconvenience to paying customers. "It does not only compromise the people who do pay for the electricity and also it does not compromise the network only that we have as the city but also it poses a great danger to a lot of people who get electrocuted and killed. At this stage we don't have any arrests but we have obviously been working with the South African Police, number one to ensure that we go out there and disconnect all illegal connections that are made to our network but also we have implored them to after the people who are connecting people illegally onto the network. " 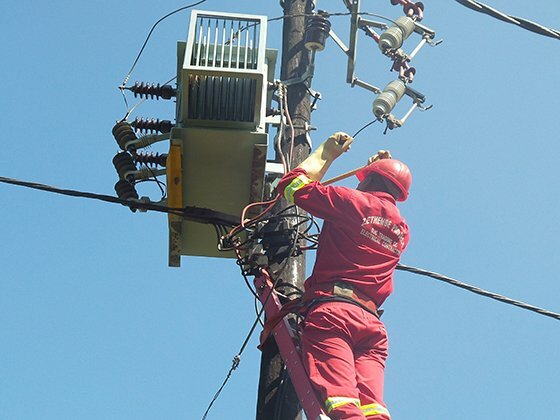 The cost of repairing the transformers is expected to be in the region of R200 000. "I cannot give the exact time when the power will be back on but we are working around the clock to restore the power. I am very confident that in a day or so we should have all the residents back on the grid," says Tau. Tau has urged the community to work with the city by reporting any illegal connections.